You know how carrots can dry out?!? Here's a tip to prevent that! 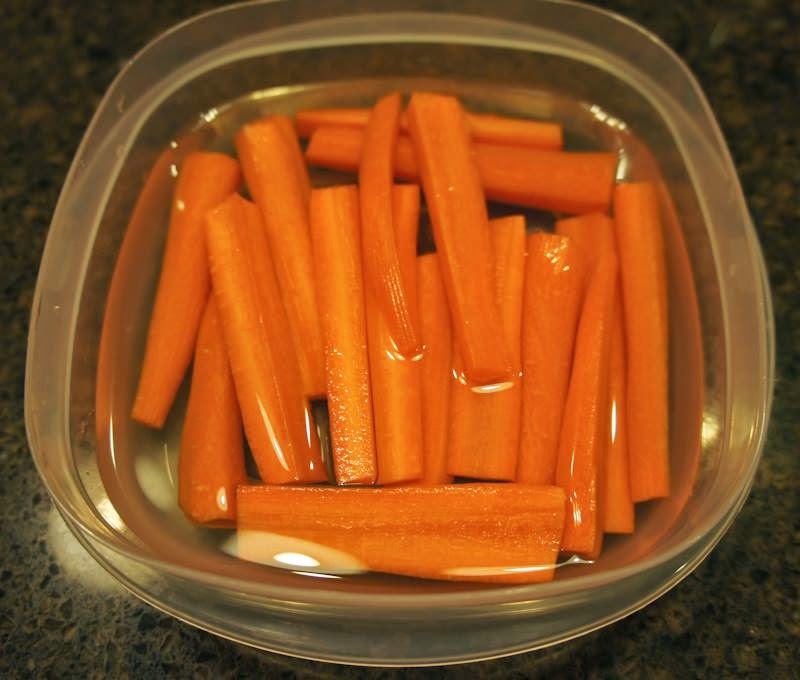 Always store carrots and celery in water (not together though! ), changing out the water out daily. Cover with an airtight top. This will keep them crispy, tasty and fresh! They will last throughout the work week (and sometimes through the next weekend!). Also, as soon as you buy bell peppers, remove the inner seed pod. Just cut the peppers up into large pieces and store them in an air-tight container. You can use them for salads, soups, etc. all week!